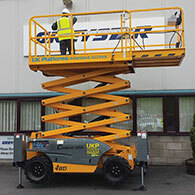 Whether one should rent or buy heavy access equipment is a tough choice to make. Naturally, the financial equation which your company or organisation has goes a long way in making this decision. After all, heavy access equipment is not heavy only in its weight. It does not come at a less cost. In fact, it costs literally the earth. Hence, the cost of the equipment concerned is one major factor which will help you make up your mind. Also, if you do not do away with a good amount of funding for buying machinery, you have some funds at hand for other work as well. However, if you are sure that you will need this piece of machinery over and over again and even for future assignments, then do reconsider your decision to hire and not buy. Sometimes, the renting company has given out the machine required to someone else. Or else, it may have gone for some repair work. All these factors will not come into play if you own the machinery. Also, while renting, you have to really trust the rental company that they are giving you something which works well. They may just be palming off some old equipment to you and hoping for the best if their other new machinery is already away someplace else. When you own a machine, you also tend to look after it well. Its wear and tear is your responsibility. Even your worker hands take more care with it since it is their own machine. Try to do the same even with rented machinery. Also, make sure that the rental company is totally at par with maintenance practices. After all, you want a rented piece of equipment which is just the best that is there in the market to ensure that your job with it gets done well. Technology changes pretty quickly in almost all fields. So, if you happen to buy a piece of machinery, make sure that it is the very latest that is available in terms of the job functions that it offers. Also, that it is not likely to get out dated very soon. Out dated machinery is very difficult to maintain. Very soon, one finds its piece parts are no longer available or manpower is not trained enough to repair it and a hundred other nitty-gritties pop up all the time with old equipment. Also, you will find no more buyers for it and it will have to be sold off at dirt cheap prices as old junk or scrap. With new machinery which is modelled on latest technology, one will not encounter any problems in sourcing their piece parts. Even servicing this will not be difficult as service companies will have enough manpower with newly trained staff on new technologies. If your work is going on in a remote place, transportation of machinery will also cost a packet. If it is rented, try to work out a good deal for yourself in this aspect. In the case of your own machine, naturally speaking, will have to be transported yourself only. Next How Helpful Actually Is Construction Inventory Purchasing Management Software?